Current Affairs News | How to Crack Civil Services Exam in First Attempt? Home > Blog > How to Crack Civil Services Exam in First Attempt? 20 Aug How to Crack Civil Services Exam in First Attempt? Of all the civil services posts, Indian Administrative Services (IAS) is the most sought after by the youth of the country. The post provides a challenging work experience. More so, it provides immense satisfaction of serving the country. For achieving the coveted post, first you must clear the civil services examination. The Union Public Service Commission (UPSC) conducts the exam every year. It gives multiple opportunities for the candidates to have a shot at the exam. 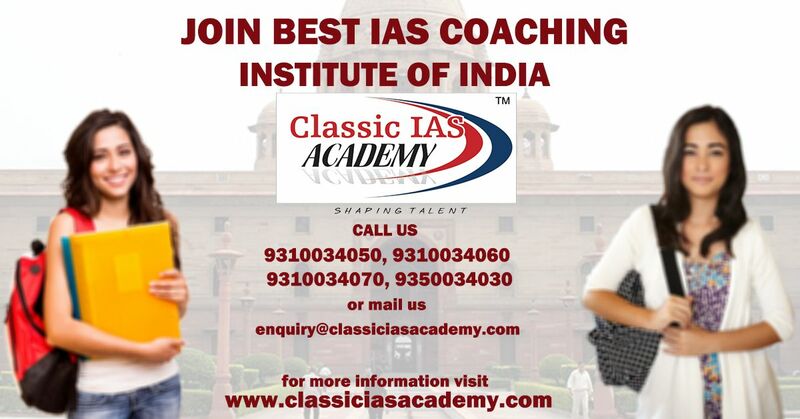 It is often said that cracking civil services exam in the first attempt is extremely difficult. Is it so? Let us find out. Cracking CSE in first attempt is not an insurmountable task. Many candidates have done it. Also many have topped in their first attempts. You must take inspiration from their stories. There are many advantages in cracking the exam in the first attempt. If you are a fresh graduate then it is an added advantage for your career growth. It saves lot of time, money and your youthful energy. You can put them to better use in the service. With the right approach clearing the exam in first attempt is easy. If it can be done so easily why is it that many candidates do not clear in their first attempt? A clear plan and strategy for your preparation is needed if you want to crack the exam in the first attempt. Many candidates while beginning their Preparation for CSE struggle to develop such a plan lack of which leads to disorientation in preparation. At the end they wait for their next attempt. It is pertinent for you to chalk out a plan and strategy at the very beginning of the preparation. Understanding basics is of utmost importance in CSE. A thorough reading of NCERTs will help here. Prior to the beginning of your preparation, give at least one reading of NCERT text books starting form class 6. Doing this puts you ahead of others who take NCERTs lightly. If you are in the final years of your graduation, reading NCERTs is highly recommended. It makes your further preparation smooth. Prelims examination is heavily dependent on NCERTs. So, having a head start will give you that extra chance to clear prelims. Once selected, study the optional subject right from the beginning of your preparation. Utilize coaching facilities for better prospects. Trending Topic You Must Read: How to prepare for Civil Services Exam? Make sure at least one revision of the optional subject is done prior to prelims. Be thorough in your approach. Prepare your own notes for better revision process. Do not leave any doubts unattended. Clarify all the doubts before mains examination as there will be less time available for studying fresh in this period. Major fallacy of many UPSC aspirants is their habit of hoarding books and materials. If you want to crack the exam in one go then avoid this approach. Instead go for minimalist approach. Acquire as many less books and materials for preparation as possible. This is to avoid knowledge fatigue. Reading from multiple sources clogs your mind with unnecessary information. Recalling becomes difficult during the exam. What you need is a small resource of books and materials. Revise them as many times as possible. Even better is notes prepare on your own. This keeps your brain sharp for detail and chances of success grow manifold. Practice previous years question papers as many times as possible. This helps especially for prelims. Take mock tests regularly. Develop your answer writing skills by practice. Be analytical here. Measure the time taken for writing and set to improve upon. Distraction is what kills aspirations. UPSC candidates who are distracted from their goal are going to take multiple attempts till they realise their mistake. It is advisable to stay motivated if you want to clear the exam in first attempt. All the niceties and pleasures can wait. Be dedicated to your processes for a year and enjoy your success afterwards. Many toppers who cleared in their first attempt had this unique quality – ferocious dedication towards their goal. As Swami Vivekananda said, “Stop not until you reach your goal”. You too develop such attitude. Avoid advice seeking. Instead seek clarity. A mind with clarity can grasp the various issues of day to day happenings easily. This is the immediate need for UPSC CSE. For a better clarity, strengthen your support group. They might be your friends, seniors, lecturers at your coaching centre etc. Ask questions and seek honest replies. Note your mistakes and work on them. Be honest with yourself. At the end of the day, no matter what is said here, it is you who need to take the decisions. Each individual has their own unique personalities. Identify your traits and make them stronger for your preparation. It is you who need to study for long hours. The above said are vital parts in the preparation process. It is your perseverance and emotional well being decides the final outcome. It is very much possible for anyone, even you, to clear the UPSC Civil Service Examination in first attempt.